If you are one of our many avid blog readers you will know that the past few years in the Bay of Fundy have been pretty sparse in right whale numbers. Last year, things looked hopeful when we first arrived in the field. Our first two weeks proved very busy and right whale sightings were common. 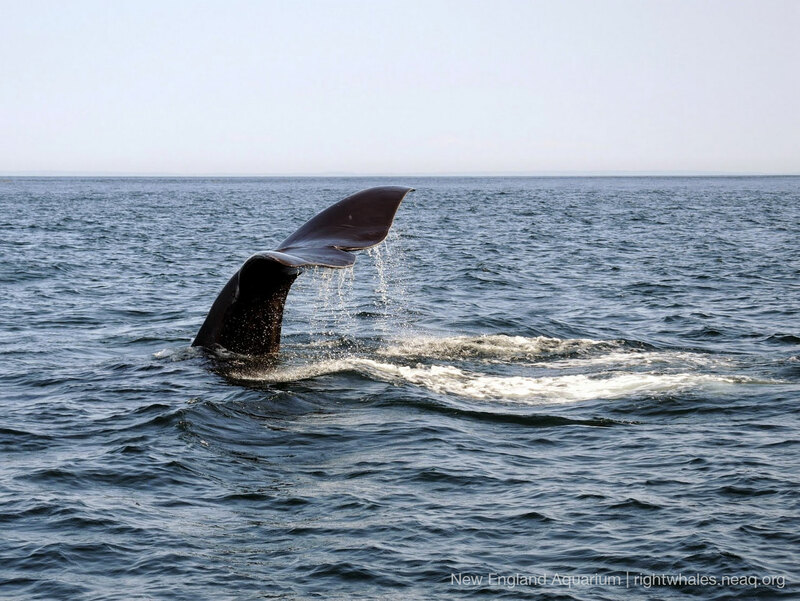 However, after two weeks things turned desolate and right whale sighting became more rare for our team working in the Bay of Fundy and offshore (of Nova Scotia) on Roseway Basin. The first right whale spotted during the 2014 field season. Coming out of the field last year, as with the previous couple of years, we asked the same question: What can we do different next year? This year we did do something different. Picking up and moving a field team is not easy. Doing something different from the 20+ years is also not easy. There are so many road blocks and logistics that must fall into place (funding, people, equipment, boats, housing and insurance to name a few) to take a small team into the field and into an area you have never studied before. However, that is exactly what we did. It was an exciting time and I'm excited to share it with you (over the course of a few blogs). The second half of August I lead a small team into the field with the goal to collect boat-based survey effort in an area of the southern Gulf of St. Lawrence. The main focus was a small bay called Chaleur Bay (or Baie des Chaleur in French) which translates into the "bay of warmth." Historically, there have been a scattered number of sightings in the Gulf of St Lawrence. In the past two to three years there have been an interesting number of whale sightings (mostly single whales) seen in the Baie des Chaleur. Since we had limited time (2 weeks), limited people and a limited boat (day trips only) we decided (sometime in the winter and while Boston was hidden under multiple feet of snow) that the Baie des Chaleur had enough opportunistic sightings to warrant a small expedition in the summer of 2015. Our Baie des Chaleur expedition started as most do, in a very non-glamorous manner. From Lubec we drove to Boston to rent a heavy duty truck for towing, pick up the R/V Callisto and headed to northern New Brunswick via Lubec. The team was small and included myself, Brigid McKenna and Alex Loer. After three days of driving we finally arrived in the Bay of Warmth! We rented a little cabin in Janeville, New Brunswick, Canada to serve as our home base for two weeks. The next step was to hit the water and look for whales! More to come here on the blog, stay tuned. Keep reading! Click here to read Part Two.